XYTHGRT is known for bringing a true renegade sound to rap music that keeps hip-hop purists on the edge of their seats waiting for the next release. XYTHGRT has paid his fair share of dues by maximizing the opportunities at hand. The perfection of XYTHGRT’s work ethic can be seen in the release of his newest single, Hysteria. 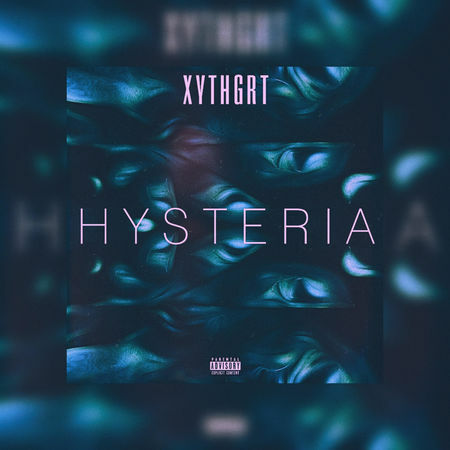 Hysteria is a track that comes after the twenty-three year old rapper’s migration from Memphis, TN to Atlanta, GA. XYTHGRT got a chance to create something spectacular after teaming up with music producer Gfather once again. The track’s theme deals with the story of uncontrollable emotion along with the added imbalances of time.